A recent study by THE INMAN GROUP showed that 90% of 1st Time Buyers felt they were well prepared when they started the home buying process. By the time they finished 56% said they should have known much more about the financial aspects of home buying. 1. 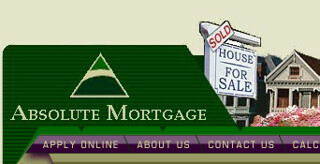 The Mortgage Selection options. 2. The Closing Escrow process, especially loan closing. 3. The Offer and negotiation process. This supports my personal experience and justifies my firm policy of having a typically 2 hour initial meeting with new buyer clients to discuss these and a few similar areas. This allows us to deal with the probability that many hours spent on the Web has given them a toxic mix of good, wrong, ambiguous, and dangerous data, but no framework in which to analyze it. The biggest single problem in my experience is the idea that house hunting should start with looking at houses. It should start with finding the optimal Mortgage FOR YOU based on your current circumstances and future plans. 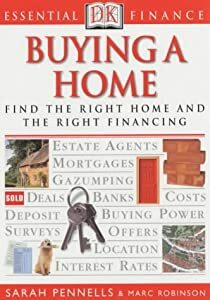 When you have determined (accurately) how much you can afford and which type of mortgage is best suited for you, should you be using your valuable time to start viewing only homes which meet your parameters and pockets. NOTE: It’s worth remembering that the 30 year fixed rate mortgage is seldom the best choice for the majority of buyers. However it is always the most expensive. The following is a result of a recent inquiry from a subscriber to the Trulia Voices website. He wanted my opinion on a purchase he was considering. He had picked up a lot of useful information but did not have the experience of the actual steps involved which allows an expert to place multiple bits of knowledge into a clear context, and then into a plan. You are obviously doing a lot of homework yourself, as I would prior to deciding on alternate strategies for a medical problem. However, in both cases accurate information is required in order to make the optimal decision. I believe you have reached the point of needing accurate current data, placed in its correct context, in order to decide how to proceed. For example, let’s look at the scenario you described in your question. 20% down – o.k. but maybe not the best choice, as you are already aware. Property Taxes about $300 per month – Wrong. On $375,000 will be $390:63 per month. A $90:63 difference. Hazard Insurance $100/m – Wrong. $60 per month is a good estimate. A $40 per month difference. Just these few differences would allow you to buy up to $400,000 for the same monthly cost. This takes you into the Piedmont High School district with its much superior education system. You’ve taken the time to build your knowledge and vocabulary well. Now you need real facts and numbers in order to become an educated buyer in a market place where getting it wrong can be very expensive. I’m not going to base important decisions about my health on “free” research and advice from the Web. I want the alternatives to be explained by a professional, and specifically as they apply to me, not some mythical Mr. Average. I suggest you take a similar approach and hire a Realtor who will explain the options available to you, and help you understand the pro’s and con’s of each one. Sorry if this seems “preachy” but I feel very strongly about the mass of incorrect and misleading advice and information being spread throughout Radio, T/V, “News”papers, Magazines, and the Internet. These sources are not interested in supplying information relevant to you and your situation. Their sole motivation is to sell advertising. Why not hire your own professional who can advise and inform you based on your unique circumstances, at this specific time, and with regard to your medium and loan term plans. Posted in 1st Time Buyers, Communities, Mortgage, Real Estate, The R/E Business.